Lovley image of the young Lord dancing on a raised architectural mound. 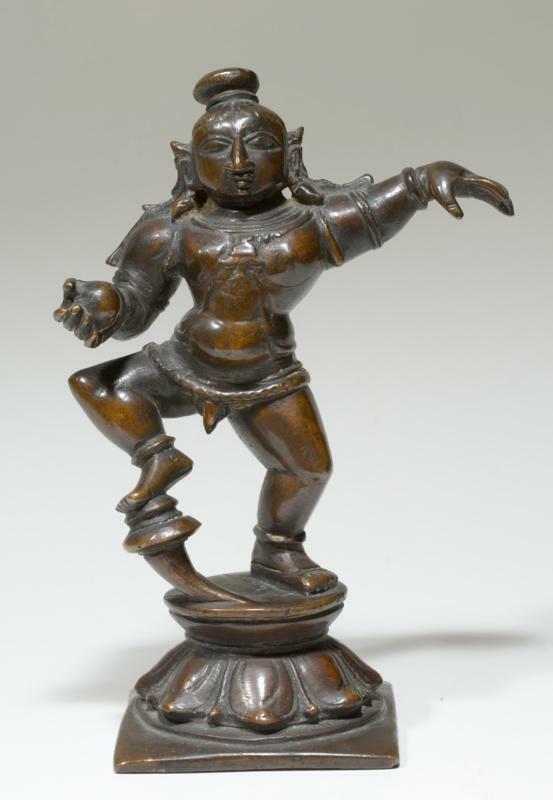 He has one leg raised and is wearing a headdress, sarong and necklace with his hands in sway. Nice dark brownish patina. 6-3/8 in H. Ex Laura Kay Stewart, NY Collection.